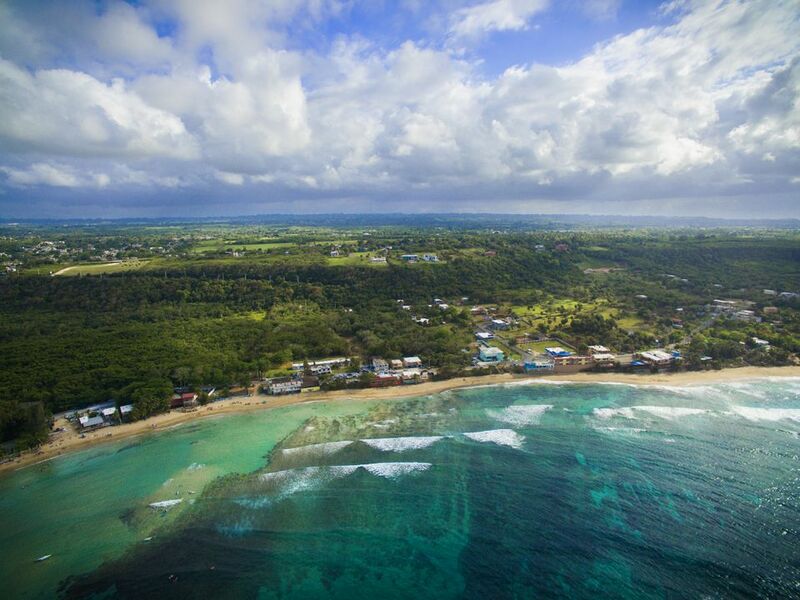 The town of Isabela, on Puerto Rico's northwest coast, is known as the "Garden of the Northwest" for a few reasons. It boasts splendid natural beauty, with beaches, forests, and surf competing for your attention. It is home to a unique culture, as evidenced in the monuments to the island's native Indian heritage. There are local specialties, such as the traditions of the santeros, who carve wooden santos, or saints; a local cheese called quesito de hoja, and elegant Paso Fino horses. Baño La Princesa & Blowhole: A large area dotted with coral formations, beaches, and natural pools. Punta Sardina: Punta's deep waters make it a popular swimming beach and a great fishing spot. Built in 1911, the Guajataca Tunnel was a railroad tunnel that connected the towns of Isabela and Quebradillas. It was meant to transport the sugar crop in this part of Puerto Rico. The tunnel is open to the public and safe, as the railroads are long gone, and the trek is worth it when you witness the rugged and beautiful coastline, including Playa El Pastillo and Playa de Guajataca. The latter has a rough surf and strong currents, and is not a safe place to swim; the former, on the other hand, is a large and beautiful beach. On the west side, take a look at the Cara del Indio, a rock carving of a Cacique, or native chief, named Mabodomaca. Legend has it that Mabodomaca leaped into the ocean to his death rather than be captured by the conquistadors. The Guajataca Forest is a pristine nature reserve with flora and fauna unique to the island. The forest has 25 miles of trails, with the most popular being Trail #1, leading to the Cueva del Viento, "Cave of the Wind," and the interpretative trail. The former is a beautiful natural cave filled with bats and featuring limestone rock formations; the latter is a 2-mile circular path that makes for a light hike. From the trail, you can also visit an observation tower and a picnic area. The forest contains some 156 types of trees and 45 species of birds. Tropical Trail Rides offers beachfront horseback rides and ATV tours in Isabela. From here, you'll continue into a lush forest setting. For those who are inclined and able, they'll even take you on a hike up the cliff for a panoramic photo opportunity. If hiking isn't your thing, you can swim on the beach or explore the cliffside caves.